The results of the presidential election prompted South Bay residents to stage pro-immigrant rallies outside of San Jose City Hall. Santa Clara County leaders have called on the public to share their thoughts on anticipated changes in immigration policy under President-elect Donald Trump. The county’s Children, Seniors and Families Committee will hold an immigration hearing Thursday. The panel, a subcommittee of the Board of Supervisors, will use that feedback to shape local policy and figure out the next steps for supporting the region’s foreign-born residents. Trump’s campaign rhetoric about ramping up deportations has inspired fear in communities throughout the South Bay, where 40 percent of the population was born abroad. His election last month prompted a host of local agencies to start game-planning in case the incoming president makes good on his threat to crack down on illegal immigration and undo what few reforms were enacted under the current president. The county and city of San Jose founded their respective officers of immigrant affairs before the presidential campaign, but events of the past yaer brought renewed focus to immigration policies. Both the city and county immigration offices connect residents with citizenship services, literacy and vocational training and a path to higher education. The county’s Office of Immigrant Relations launched a website, www.ImmigrantInfo.org, as an informational hub for people looking for support services. Last week, county supervisors unanimously voted to offer legal representation to undocumented immigrants at risk of deportation. The vote tasks county counsel with coming back with a report today about the cost and logistics of that plan. Local officials have also been cracking down and warning residents of a surge in notario fraud, in which legally unqualified people represent themselves as able to help people with immigration and residency issues. San Jose and the county offer free resources to connect people with legitimate help. San Jose libraries have also set up what they call Citizenship Corners, which connect people with information about tests, literacy and naturalization. Meanwhile, county Supervisor Cindy Chavez—who chairs the subcommittee hosting Thursday’s immigration hearing—will kick off that meeting with a presentation on immigration issues related to public safety and justice, public health, behavioral health, education, data protection and child welfare. Next will be a community report by local leaders. Invited speakers from various nonprofits, law firms, schools and various other agencies will talk about the impact of immigration policies on their clients, students and residents. Each person will have two minutes to address the committee. After a public hearing, the committee will wrap up with a discussion about the next steps. Translation services will be available in Vietnamese and Spanish. > Trump’s campaign rhetoric about ramping up deportations has inspired fear in communities throughout the South Bay . . . .
How about global warming and rising sea levels? Does that inspire fear? …and what about the magnetic pole deteriorating, government expanding use of contrails to control weather patterns, NASA creating holes in the ozone with each space launch, SCVWD approving fluoride in our drinking water, government creation of daylight savings time. ObamaCare……..
Why are you spending the tax dollars of legal citizens on those who entered the country illegally? Legal Citizen, because those who publicly state they will spend taxpayer money on illegal aliens want the appearance of being politically correct, no matter what they believe. Were I ignorant of the practice of disinformation, I might come away from this article concerned about the well-being of all foreign-born residents, several unnamed communities, forty percent of the population, every undocumented immigrant, and all easily-duped residents, but confused at how that could be possible if the president-elect intends only to crack down on illegal immigration. Is every member of these various groups here illegally, or is there some legitimate reason for the SVN to avoid using precise language when, ostensibly, “reporting” the news — other than a baldfaced attempt to venerate the local clowns at the county while demonizing Mr. Trump? > The county’s Children, Seniors and Families Committee will hold an immigration hearing Thursday. It’s an obscene distortion of the English language to call this a “hearing”. It’s a political rally. I must be completely tone deaf, are immigrants and illegal immigrants the same thing in the language of political fear mongering? Every one is worried about illegal aliens what about the homeless families here? People sleeping in their cars or outside while they can find money for shelters for the influx of the undocumented coming in these last three years. That would be Americans? No locale politicians only represent people from distant lands these days. Come to think of it that might be why Trump won the election. In the headline, throughout the article, and in the links, one essential word is consistently avoided: “ILLEGAL”. That would eliminate the spin, and get everyone on the same page. George Orwell would understand what’s going on here — and it sure ain’t “News”. 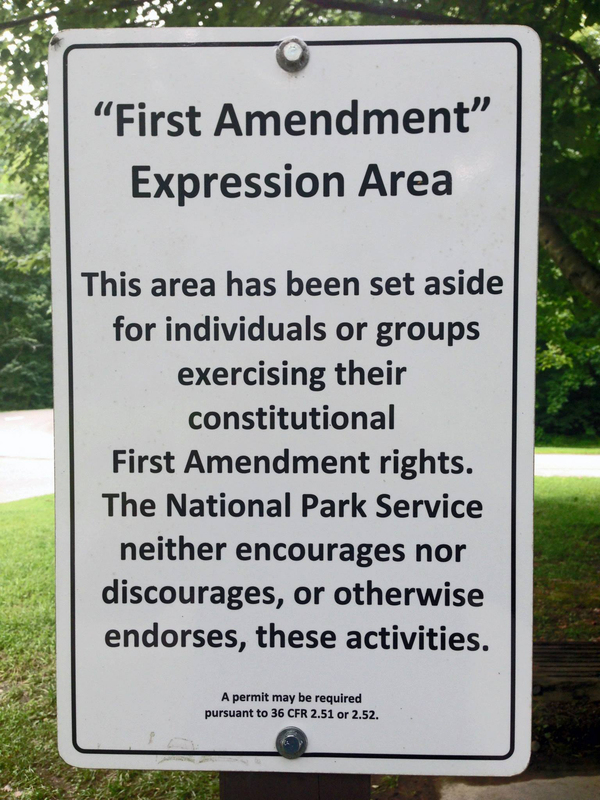 By the way, speaking of inviting the public to “Weigh In”, does Santa Clara County have a “First Amendment Expression Area” as was once thoughtfully provided by the Bureau of Land Management to allow dissident minorities to advocate for private property rights in a remote corner of California? I’m thinking I might want to wave a flag or something during the Trump inauguration. To my knowledge, the Santa Clara County Board of Supervisors has NOT invited the public to weigh in, and in fact, has actually tolerated harassment and violence against gay and minority Trump flag wavers. Does anyone know if it will be necessary to get a City or County permit to wave a flag during the inauguration? Go ahead and wave the flag, we will tell you if you need a permit after you have been beaten by a mob of angry Mexican flag wavers and arrested for starting a riot that you will be charged for. The area you may protest in is the parking lot at the intersection of Hwy 9 and Skyline drive, where the entire valley can see you.